If you’re one of the more than 36 million Americans who practice yoga (according to a 2016 survey conducted by Yoga Journal and Yoga Alliance), then you’ve likely tried, or at the very least considered, hot yoga. Hot yoga, also known as Bikram yoga, is a 90-minute class consisting of a series of 26 poses performed in a studio heated to around 105 degrees Fahrenheit with a humidity of 40 percent. And it’s the heat that typically keeps people at arm’s length. Some also question whether hot yoga is any different than “regular” yoga in terms of health benefits. One study published in January 2018 in Experimental Physiology suggested that it’s the physical practice of yoga that’s good for you, not the heat. 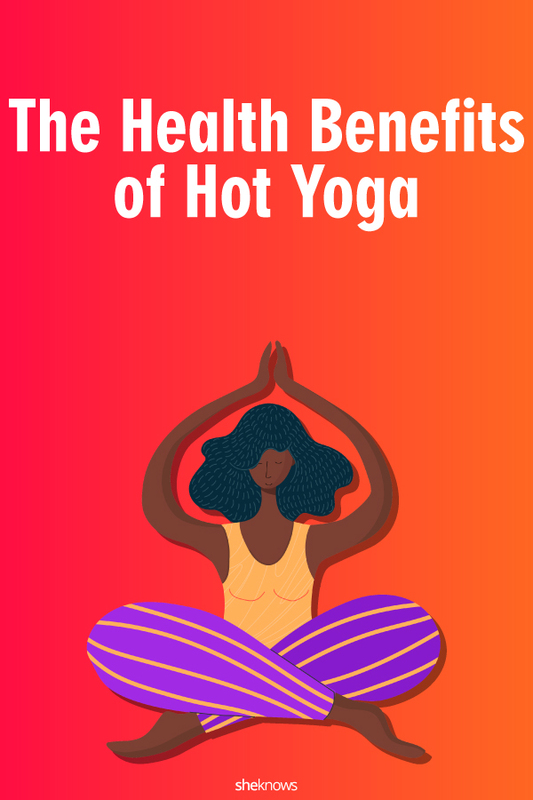 Despite the study, however, hot yoga does have its health benefits. Here are five we found. According to a 2008 study published in The Journal of Strength and Conditioning Research, young adults who attended three Bikram classes a week for eight weeks showed improvements in flexibility, leg strength and balance — more specifically, the ability to balance on one leg. This makes sense considering how many yoga poses and sequences of poses, such as the Sun Salutation, are known to strengthen and tone your body. Hot yoga may be good for the heart, according to a 2015 study published in Evidence-Based Complementary and Alternative Medicine. Australian researchers studied healthy young adults, some of whom showed a decrease in arterial stiffness. Researchers also studied a small group of older participants who showed a decline in insulin resistance. Another study, published in 2013 by the Journal of Alternative and Complementary Medicine, saw similar results regarding arterial stiffness. The study also found that insulin resistance declined among a small group of older participants who did Bikram yoga. In a 2011 study published in the Journal of Exercise Science & Fitness, 51 adults between the ages of 20 and 54 reported less stress after doing 20 Bikram classes over the course of eight weeks. Participants also showed improved mindfulness, suggesting that hot yoga positively affects psychological and physical health. “Hot yoga is actually really good for your bones,” Dr. Gordon MacGregor, one of the two professors at the University of Alabama in Huntsville who published research in 2017 titled “Calcium Lost Through Sweat: Is There Evidence of Bone Remodeling Due to Cutaneous Calcium Loss During Bikram Hot Yoga?” said in a statement. According to The Washington Post, Casey Mace Firebaugh, a public health researcher at Central Washington University in Ellensburg, surveyed 700 people in an ongoing study and found that 48 percent of participants said hot yoga improved their mood. Further, 47 percent reported improved flexibility, 34 percent felt less anxiety and 33 percent reported clearer skin. A 2016 study published in JAMA Psychiatry found that raising one’s body temperature via regular sauna use could lower blood pressure and reduce the risk of heart disease. There might be a case for hot yoga providing the same benefits, but this has not been studied directly. Ready to give hot yoga a go? 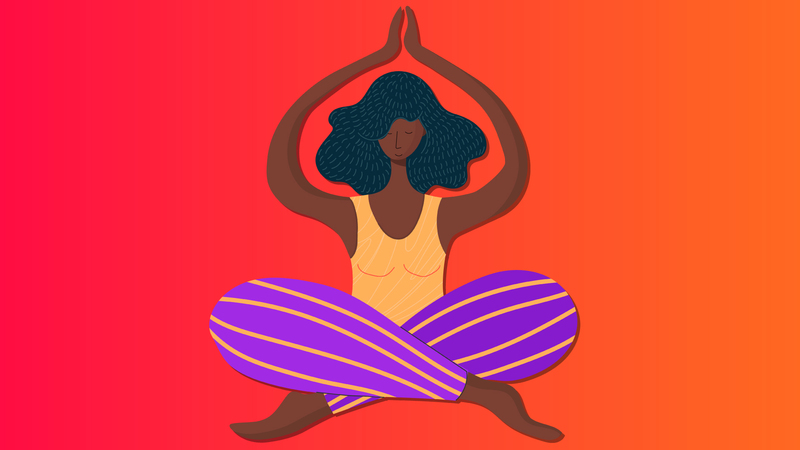 While hot yoga does have its health benefits — major weight loss not one of them, unfortunately — there are a few things to keep in mind before you head to your first class: Know your limits, know when to take a break and, most importantly, stay hydrated. A version of this article was published in September 2017.